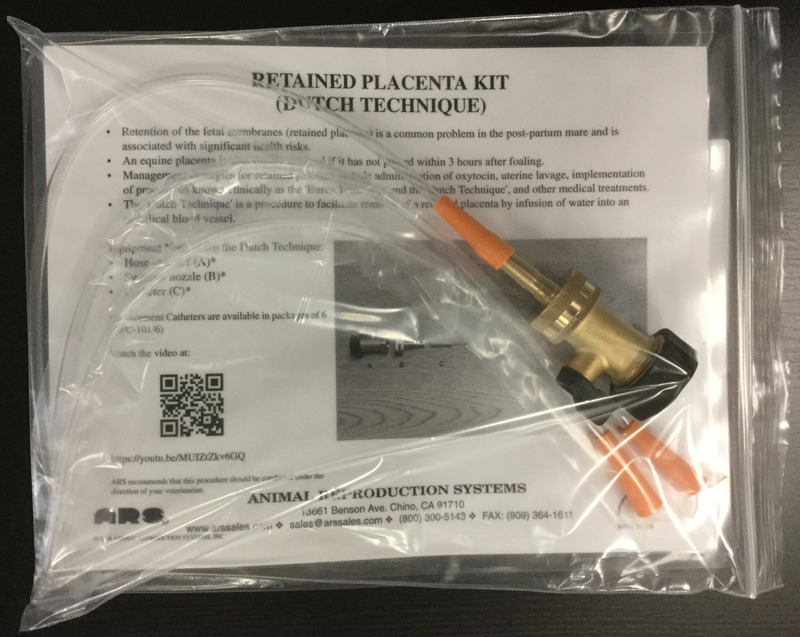 The ARS Retained Placenta Kit is designed for administration of the “Dutch technique” for safely and effectively removing a retained placenta. Kit comes ready to use, with a laminated instruction placard and 2 additional administration catheters. This product should be used under the direction of your veterinarian. Replacement catheters are available, individually wrapped in packages of 6. Instructional video on the "Dutch technique" retained placenta removal.